We have heard much about Huawei’s upcoming P30 and P30 Pro, and only recently, we began to hear the company is preparing some extra smartwatch models as follow-ups to last years Huawei Watch GT, according to unofficial sources. Much like last years model the upcoming models which are set to launch alongside the Huawei P30 will eschew Wear OS for Huawei’s own watch OS. 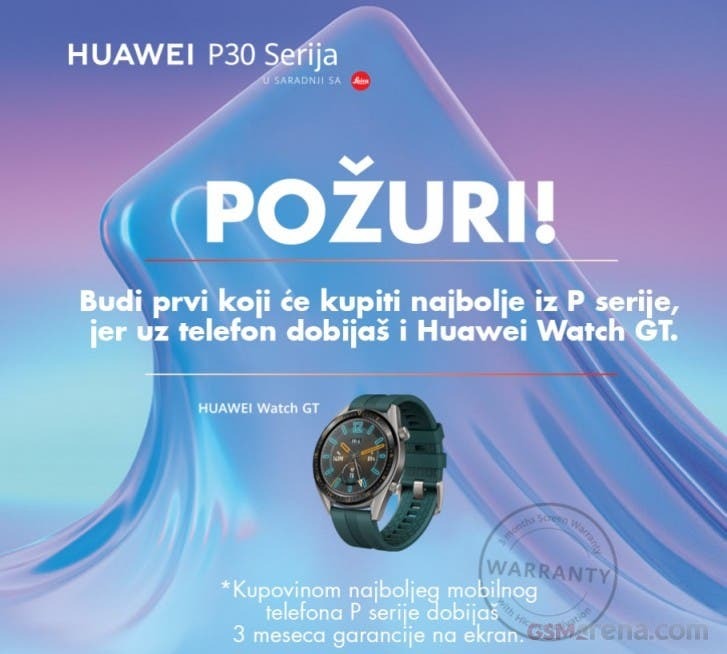 The pair are set to arrive as Huawei Watch GT Active and the Huawei Watch GT Elegant, and while we are still days ahead of the P30 launch, a tip from Europe via Gsmarena suggest Huawei and the Serbian carrier, Vip mobile will be giving away a free Huawei watch GT Active for every Huawei P30 Pre-order. Although we are yet to get the official pricing of the Huawei watch, this definitely sounds like a better offering than Samsung free Galaxy buds for the S10 Pre-orders. 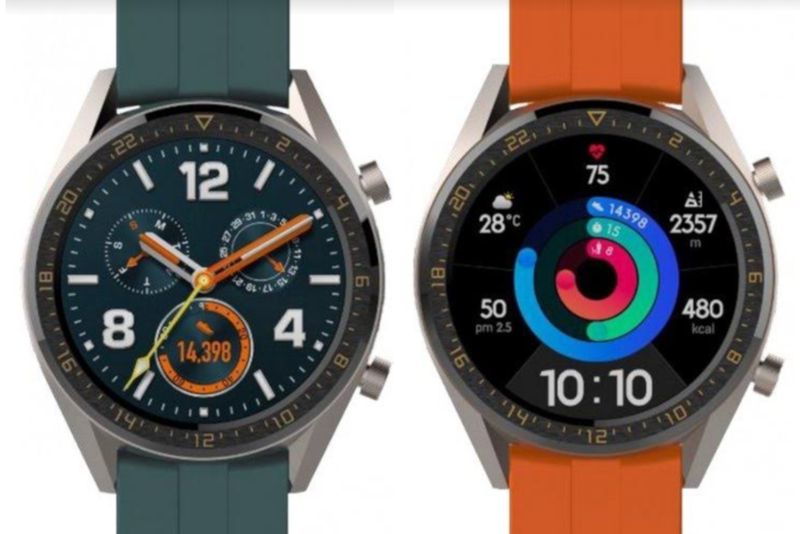 As reported by Winfuture, the Huawei Watch GT Active, and the Watch GT Elegant are expected to have striking semblance with the original Huawei watch GT, and one of the major differences could be in the color design, and from what we know so far, the GT Active will get a dark green and orange options, while the case and the bezel colors have been slightly tweaked as well.